Ronald E. Thalacker Sr. (better known by his friends as “Butch” and affectionately known by his family as “Gramps”), 78, of Eau Claire died peacefully at his home under the care of his loving daughter, Reeny, and son-in-law, Todd Close, and his faithful companion (dog), Pudge, Wednesday, Jan. 9, 2019. Butch was born to Ewald and Minnie (Giles) Thalacker May 15, 1940, in Eau Claire. He graduated from Chippewa Falls High School. 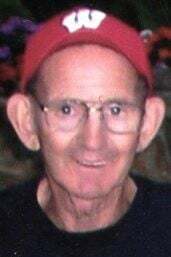 Butch worked for Storlie’s and Spickler’s garbage service for many years and then finished his career at Boart Longyear in Wausau, Wis.
Butch will be fondly remembered for his love of family, baseball, the cabin and hunting (not sure of the order). Some of the most notable memories include his coaching days. Butch coached the Hallie Cards Little League Team, whose greatest victory was an 8-7 beat down of the Mets (Ron Jr. played on the Mets and Muggsy played on the Cards, who were large underdogs in the match-up); Hallie Dodgers Babe Ruth Team, where the greatest game was a one run loss to the Angels (both Ron Jr. and Muggs played for the Angels and Gramps coached the Dodgers) due to a dropped fly-ball in the bottom of the 7th; Hallie Senior Babe Ruth Team and their 2-1 extra inning victory over the Eau Claire Legion Team at Carson Park. Butch also helped coach and cheer on the Hallie Eagles men’s team, where the greatest memories are at the State Tournament and the Nesja Cabin. Butch also is seen in photos coaching the Hallie Hornets Hockey Team, he is best known in hockey for Hallie’s 26-0 loss to Rice Lake, in which Hallie only advanced the puck beyond the center line one time and four of his players scored. He was such a defensive minded hockey coach that the first sticks purchased for his sons were goalie sticks (unknowingly). His best years were spent at the cabin with the grandkids, Justin, Jessica, Taylor, Bryce, Nikkia, Rachael, Kassandra and Kyle. We were all amazed over all of those weeks of vacation spent with no other adult supervision, not a single child was lost. As for hunting stories…far too many to mention. Butch is survived by his children, Ron Jr. (Candy) Thalacker of Montgomery, Texas, Michael “Muggsy” (Jan) Thalacker of Eau Claire, Mary Thalacker (Sal) of Boyd, Melissa Thalacker of Chippewa Falls, Maureen “Reeny” (Todd) Close of Eau Claire and Scott “Paco” (Penny) Thalacker of Sartell, Minn.; 14 grandchildren, Taylor, Bryce, Bria, Jessica, Rachael, Kassandra, Justin, Nikkia, Kyle, Karli, Zayda, Liv, Judson, Jovie; and nine great-grandchildren. He is also survived by his brothers, John, William and Wayne (Jake); and his sisters, Sandra and Naurine. He was preceded in death by his wife, Jeanne; parents, Ewald and Minnie; many siblings; and other relatives. A memorial service will be held at 11 a.m. Monday, Jan. 14, at Faith Lutheran Church, 733 Woodward Ave., Chippewa Falls, with the Revs. Lance Hoelscher, Raymond Connor, and Jordan Balk, officiating. Visitation will be from 2 to 5 p.m., Sunday, Jan. 13, at Pederson-Volker Funeral Chapel, 44 E. Columbia St., Chippewa Falls, and one hour prior to the service Monday at the church. A special thank you to Karen Herbison and the Visiting Angels for their loving care of our beloved Gramps over the last year. the life of: Ronald Thalacker Sr.